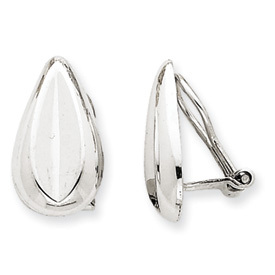 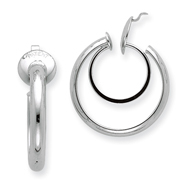 Metal: 14K WHITE GOLD & RHODIUM Weight: 1.47g Diameter: 18mm Hollow Polished Non-pierced Featuring a patented inner spring system, these beautiful non-pierced earrings hold securely and comfortably. 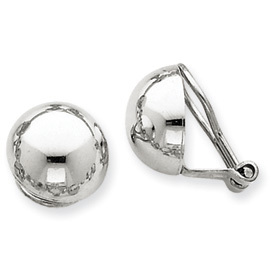 Metal: 14K WHITE GOLD & RHODIUM Weight: 2.38g Diameter: 20mm Hollow Polished Non-pierced Featuring a patented inner spring system, these beautiful non-pierced earrings hold securely and comfortably. 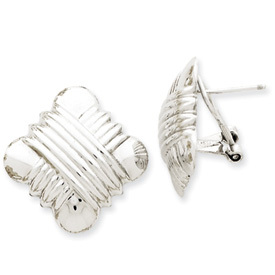 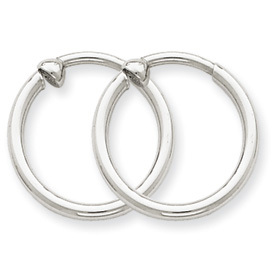 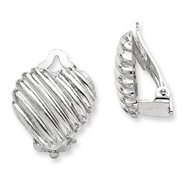 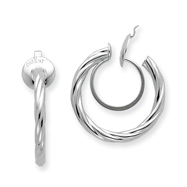 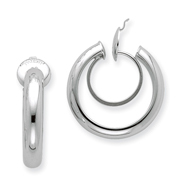 Metal: 14K WHITE GOLD & RHODIUM Weight: 1.60g Diameter: 20mm Hollow Twisted Non-pierced Featuring a patented inner spring system, these beautiful non-pierced earrings hold securely and comfortably. 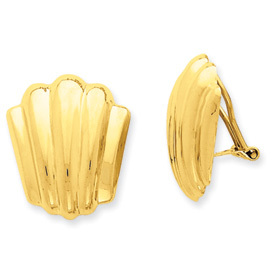 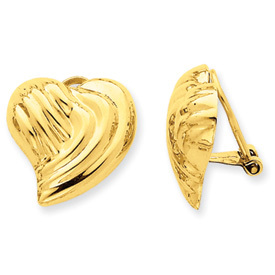 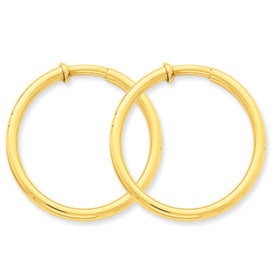 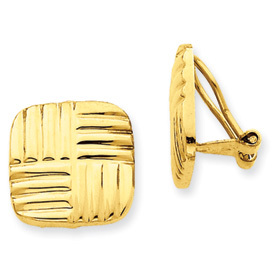 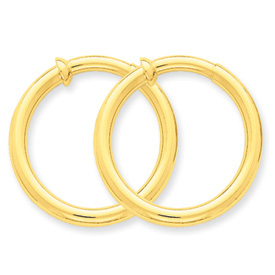 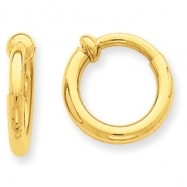 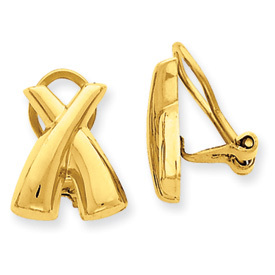 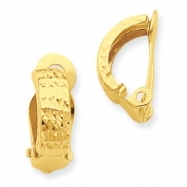 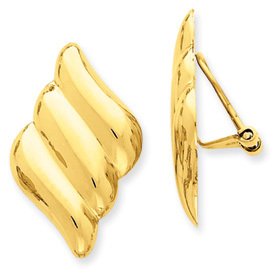 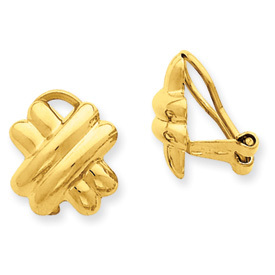 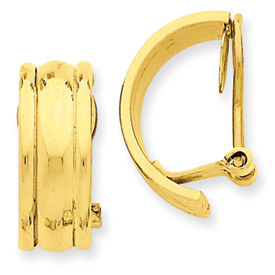 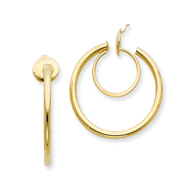 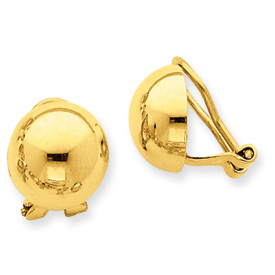 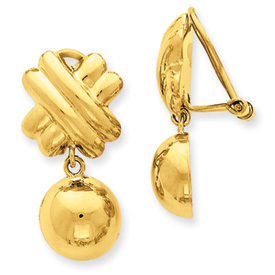 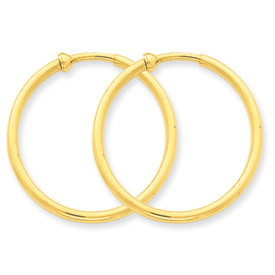 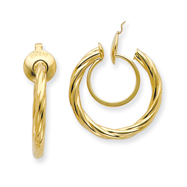 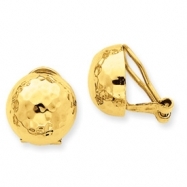 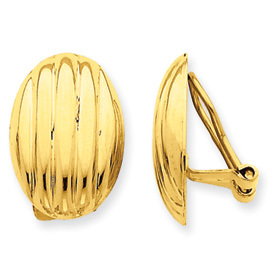 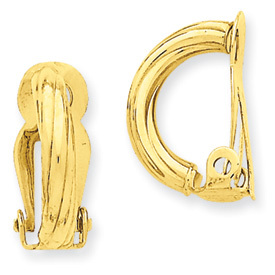 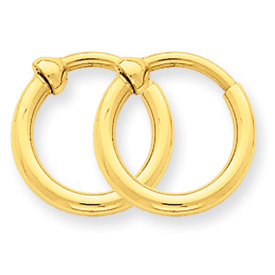 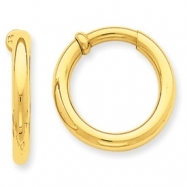 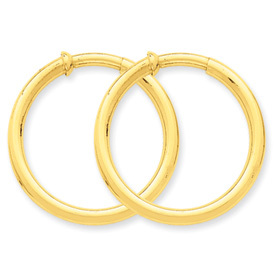 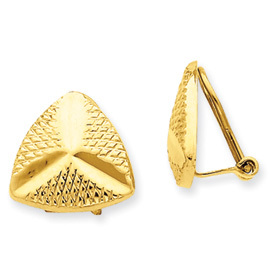 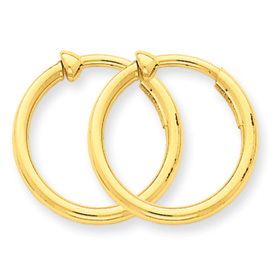 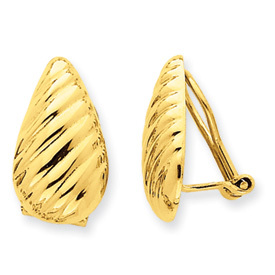 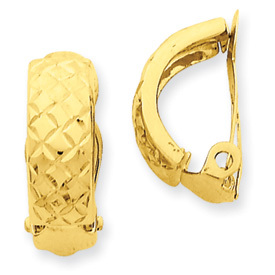 Metal: 14K YELLOW GOLD Weight: 1.69g Diameter: 20mm Non-pierced Hollow Polished Featuring a patented inner spring system, these beautiful non-pierced earrings hold securely and comfortably.